Two-sentence summary: It’s 1977, and twelve year old Allie and her grieving family move to the South following the death of her brother Eric. When Allie meets the smart and courageous Sam on her first day at Daniel Boone Middle School, she begins to question her faith and her sexuality in her conservative small town. What I loved: This book is a charming story that I think many LGBTQ people, regardless of age or era they grew up in, can relate to. Because Allie’s just beginning her journey to understanding her sexual orientation, she is filled with questions about what it means to follow your heart, even if other people don’t like you for it. Throughout the novel, she struggles to balance her need to belong with her need for understanding in a small town that doesn’t have any easy answers for her. It’s hopeful in a way that doesn’t gloss over the tough parts about being queer and emphasizes the importance of finding a way to live authentically with yourself. Although her and Sam’s journey is tough, she finds support and comfort from people she can trust, like her church minister and her teacher Miss Holt, who is implied to be partners with the female school coach. While I don’t like to pare stories down to a single “take-away” message, I think it’s important to remind young queer kids that they don’t have to figure everything out alone. Figuring things out is a lot easier with someone to confide in who won’t push you to do what isn’t right for you. Whether that’s a friend, a parent, or another person who you trust, building a support system based on people who love you unconditionally is an essential part of being queer that One True Way touches on well. Quote: ” ‘Why do you look so serious?’ Sam asked. But that wasn’t what I was asking. Recommended: The past few years have been wonderful for LGBTQ inclusion in middle grade fiction. I still remember when it was incredibly controversial when J.K. Rowling revealed that Albus Dumbledore is gay, so having in-story queer characters is refreshing. 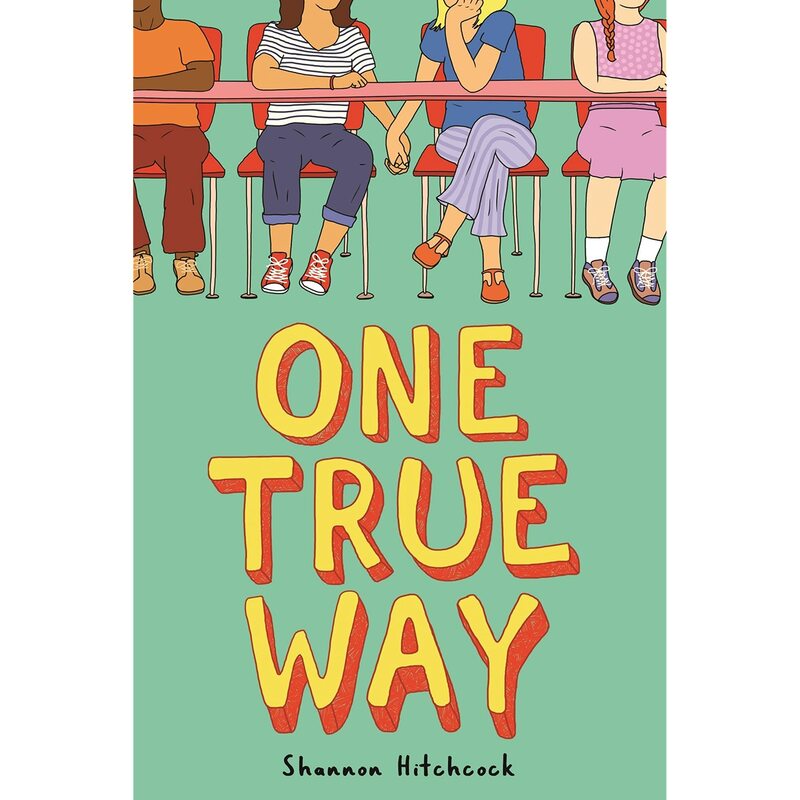 One True Way is a sweet story about crushes and first loves that I think, despite its historical setting, matches what a lot of LGBTQ kids still experience today. This is a perfect book for both kids who are just starting to have their own first crushes or who appreciate a good love story, despite the odds placed against it.